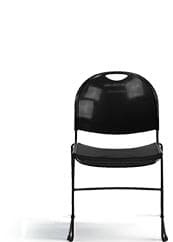 A classic of church halls, classrooms, hospitals and community centers, plastic stack chairs are inexpensive, easy to clean and easy to stack. They’re a functional seating choice for student desks, activity tables and computer workstations and a stylish option for restaurants, offices and waiting rooms. Accent Stack Chairs, Chiavari Stack Chairs, Dining Stack Chairs, Ghost and Party Stack Chairs, School Stack Chairs, Side Stack Chairs and Stack Stools.